This was done for a repeat orderer, who always makes it a point to order birthday cakes for her grandkids. 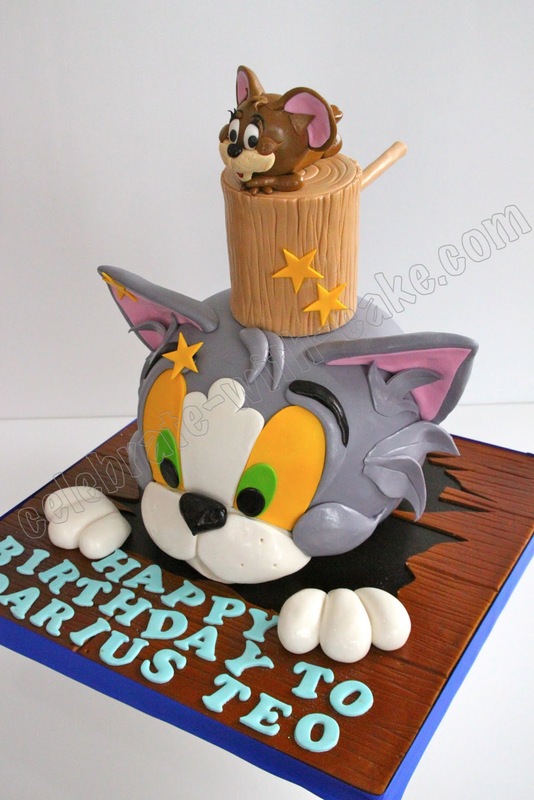 Said granny was looking for a Tom & Jerry themed cake for her grandson. 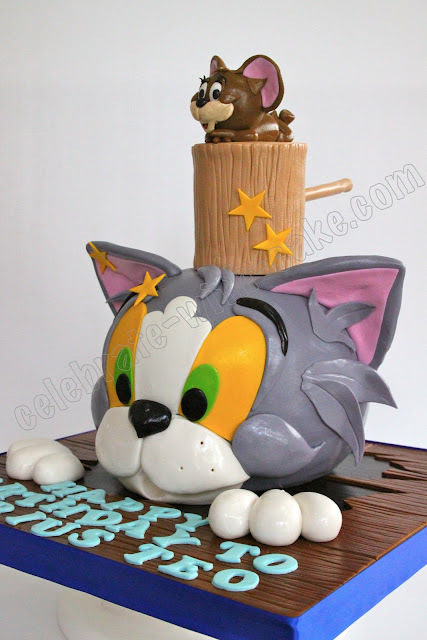 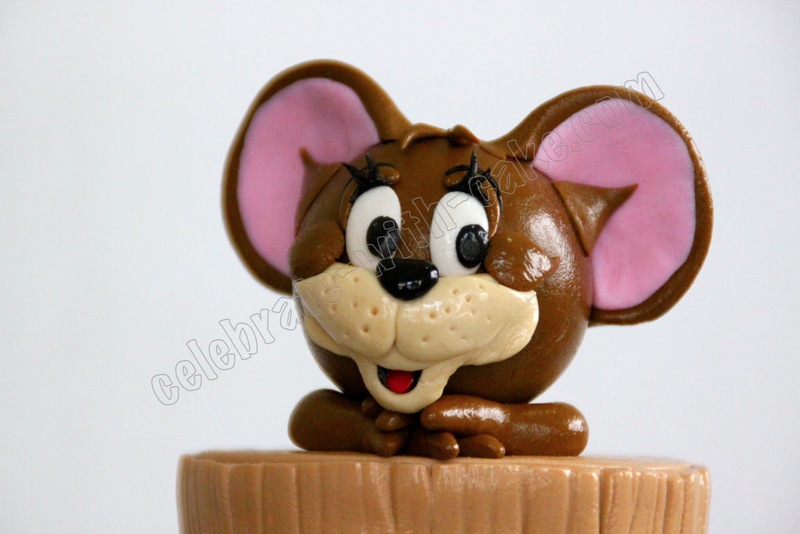 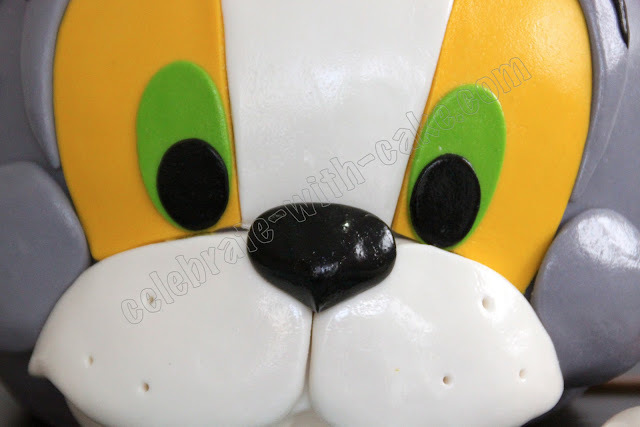 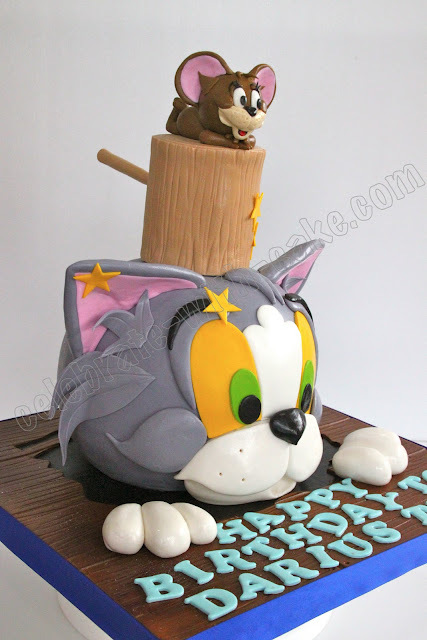 She liked the previous Tom & Jerry Cake we did, which was based off Debbie Brown's designs. 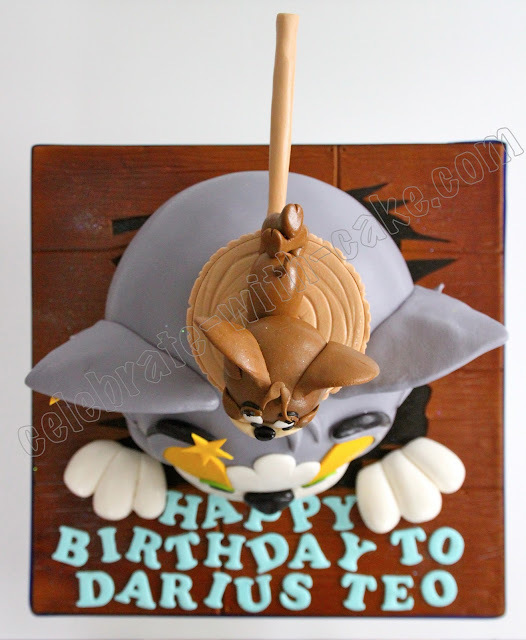 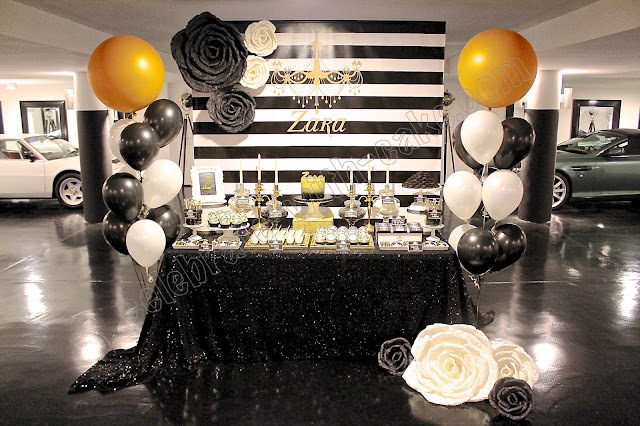 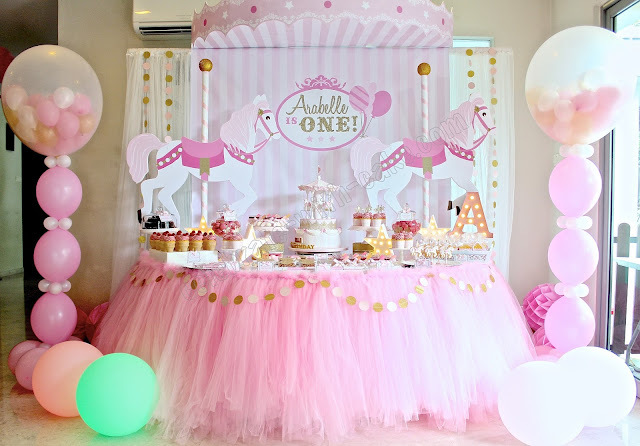 Can i just say add that this particular design was mega fondant intensive? 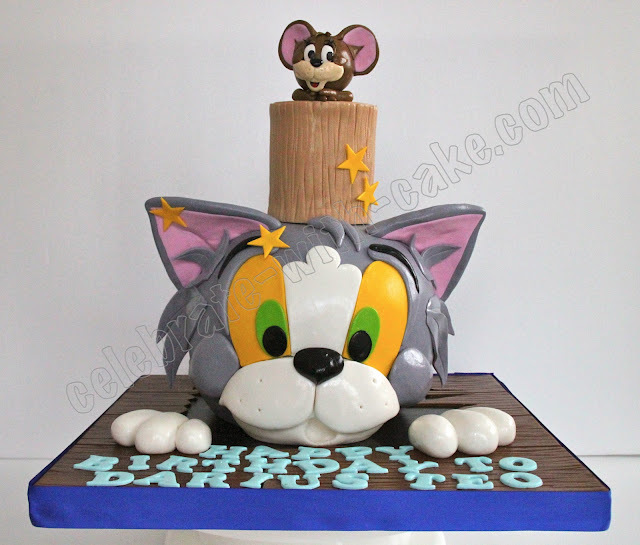 i reckon we must have used close to 2.5kg worth of fondant for this cake!